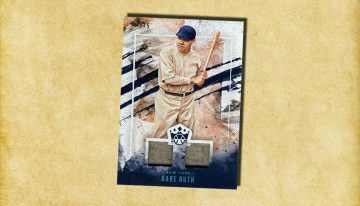 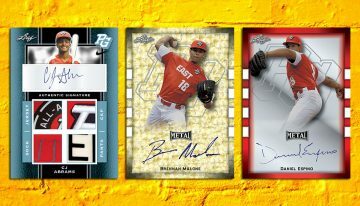 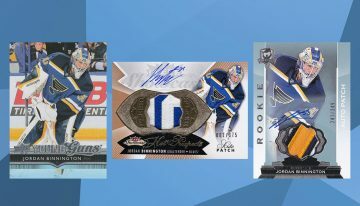 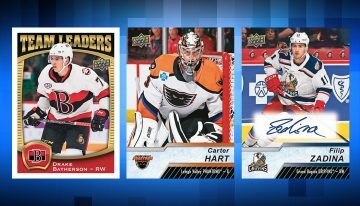 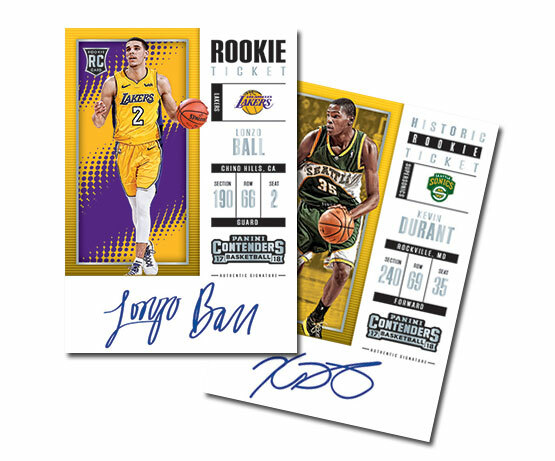 Contenders and Rookie Ticket Autographs are like peanut butter and jam. 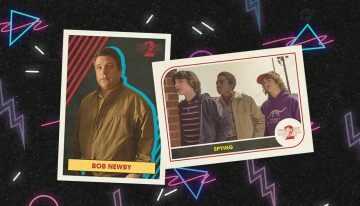 They’ve gone together for more than 20 years. 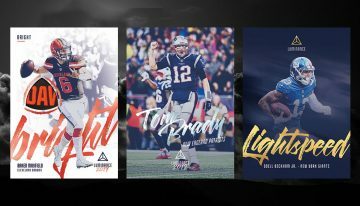 While that tradition is strongest in football, it’s carried over into other sports. 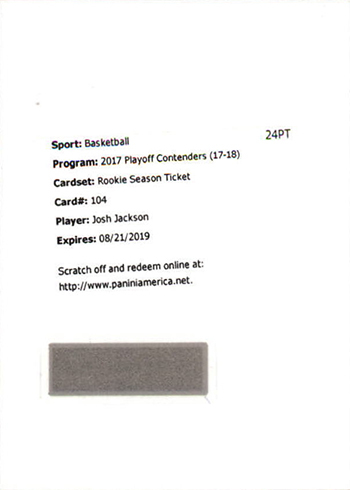 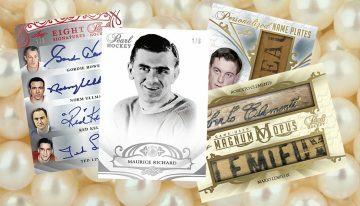 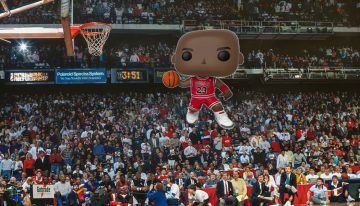 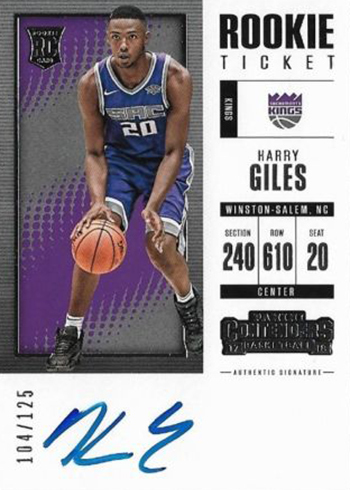 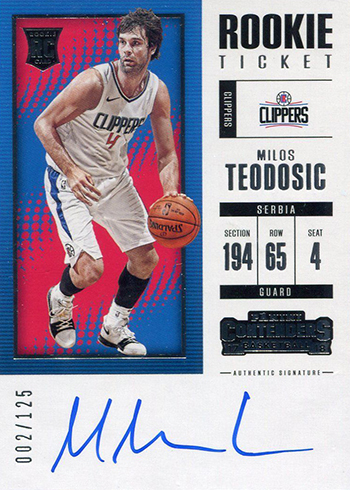 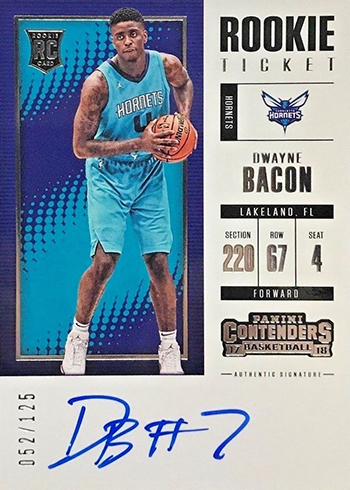 The 2017-18 Panini Contenders Basketball Rookie Ticket Autographs take a bit of a different approach in some regards. 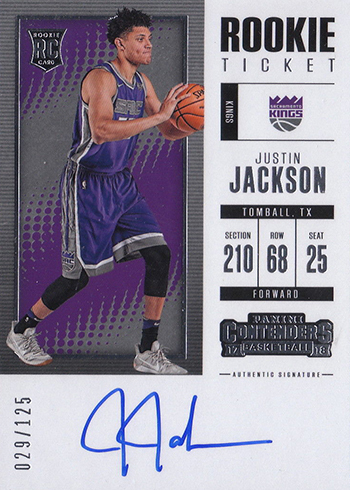 But the main things are there, including on-card signatures from the deep draft class. 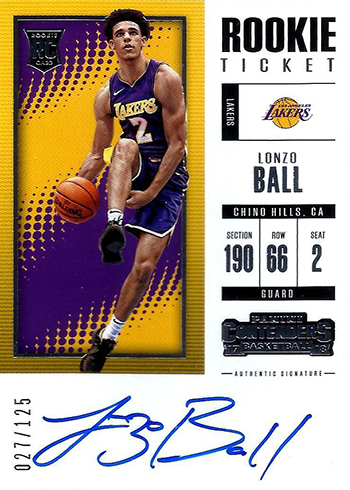 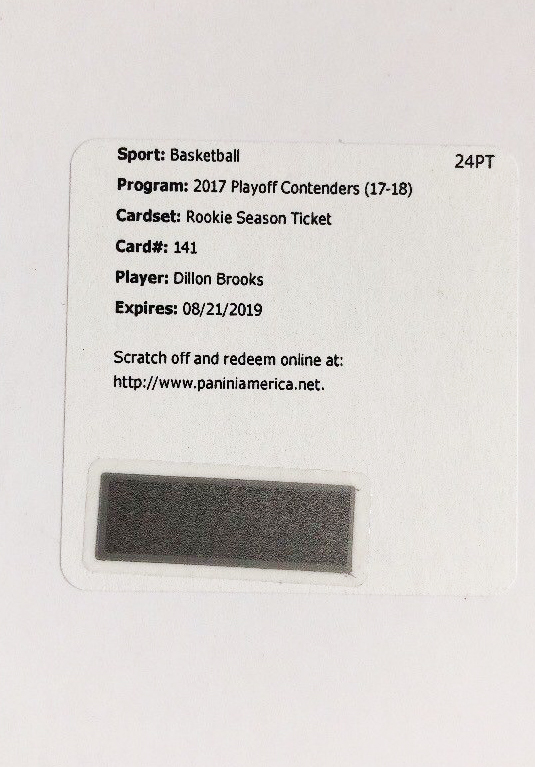 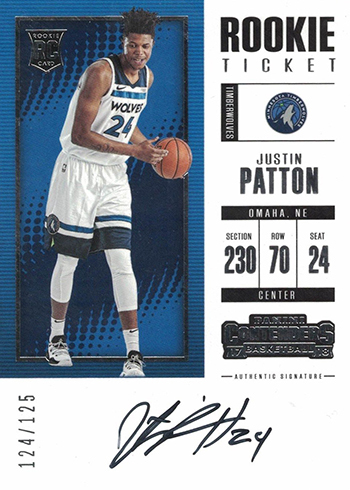 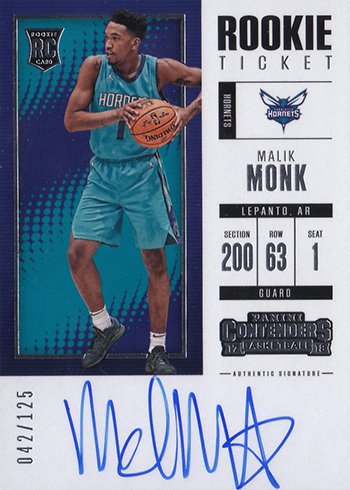 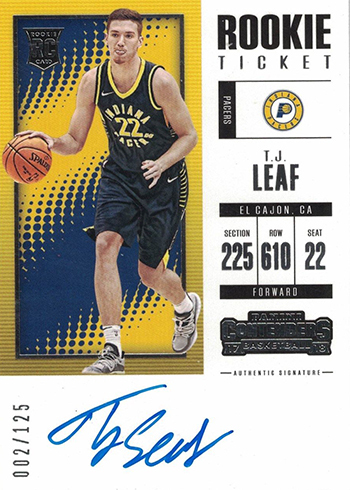 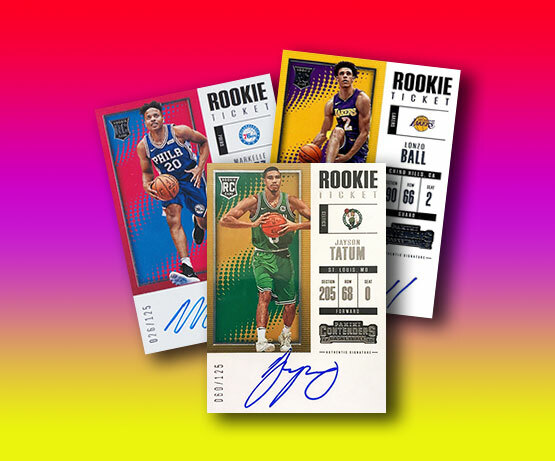 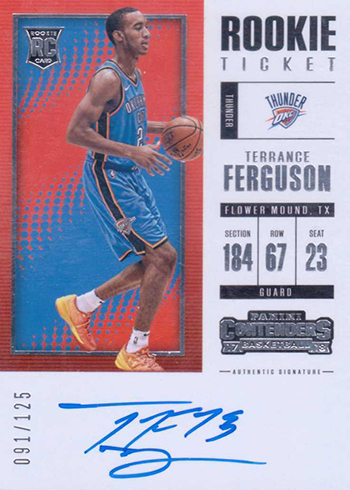 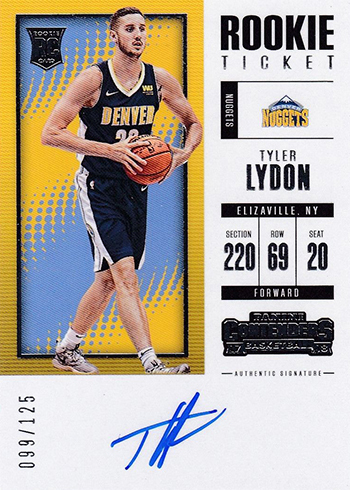 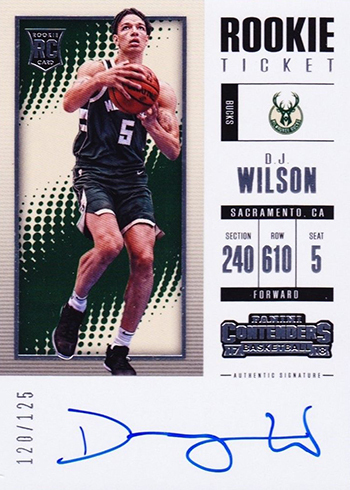 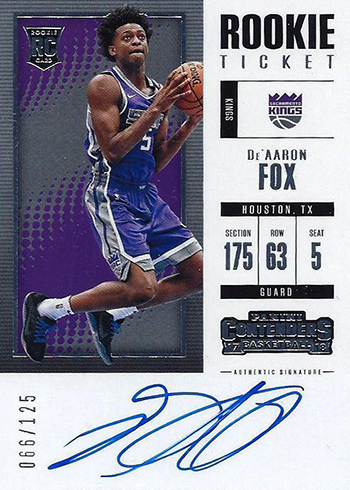 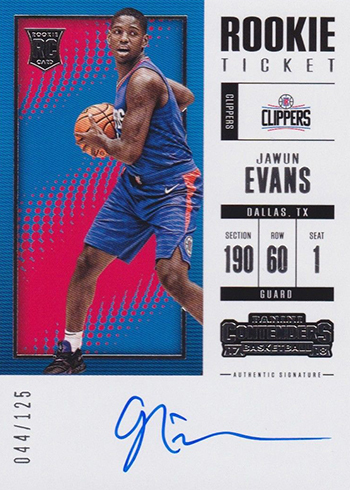 The 2017-18 Panini Contenders Basketball Rookie Ticket Autographs checklist has 45 players including Jayson Tatum, Donovan Mitchell, Lonzo Ball and De’Aaron Fox. 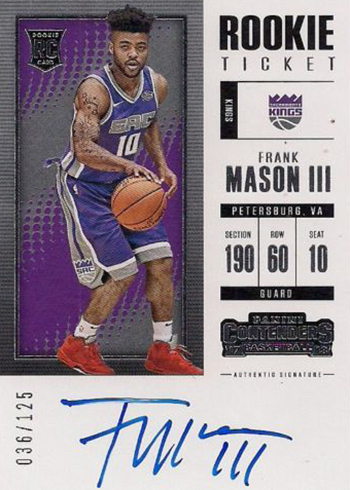 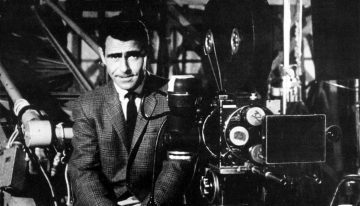 If you go through the subset’s history, usually they’ve come without serial numbers. 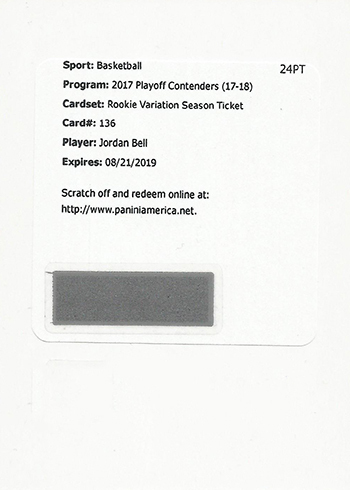 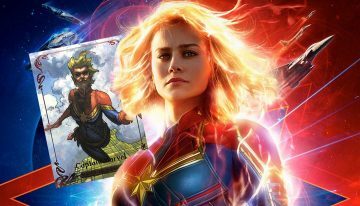 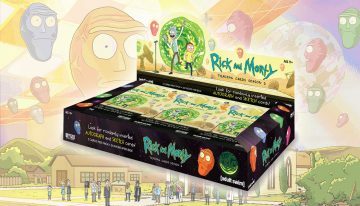 This opens up the possibility of short prints and potentially valuable cards for lesser players among set builders. 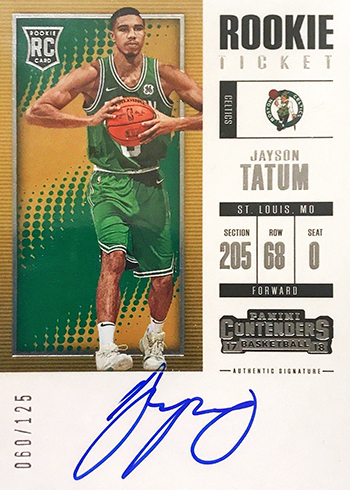 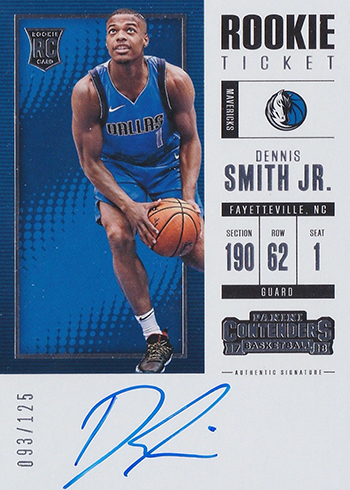 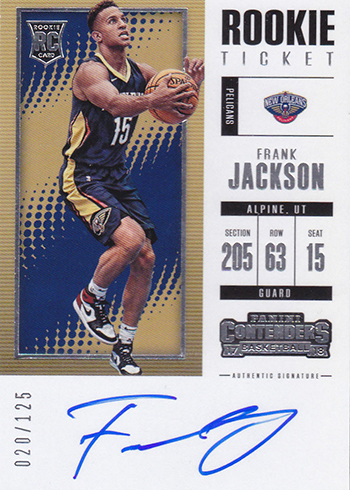 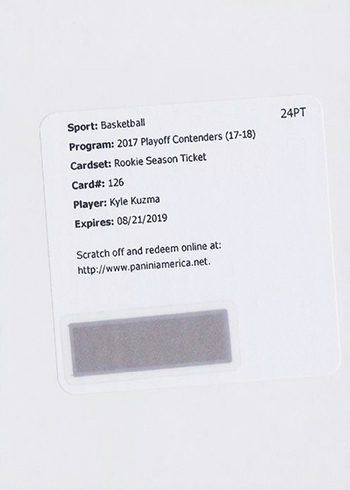 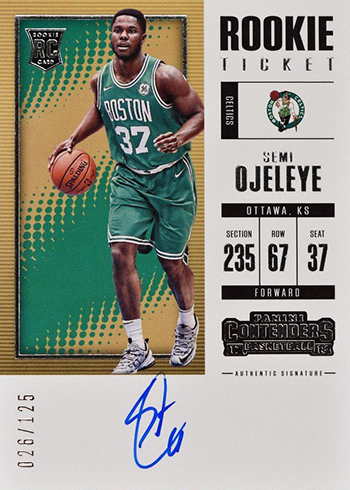 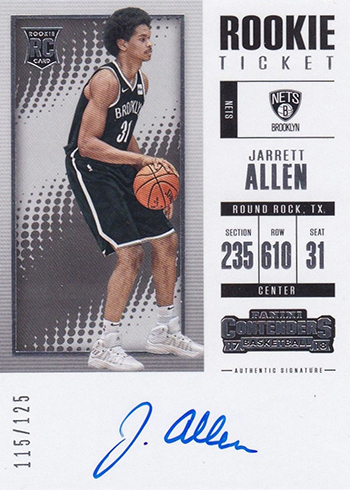 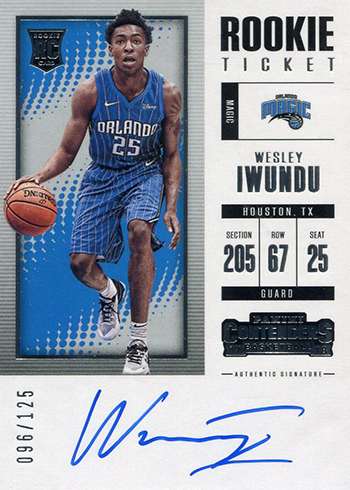 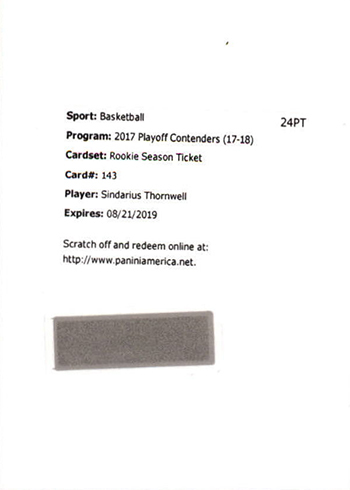 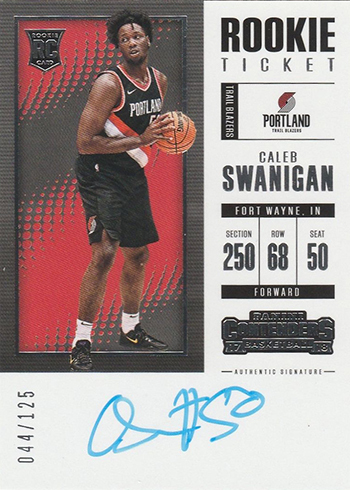 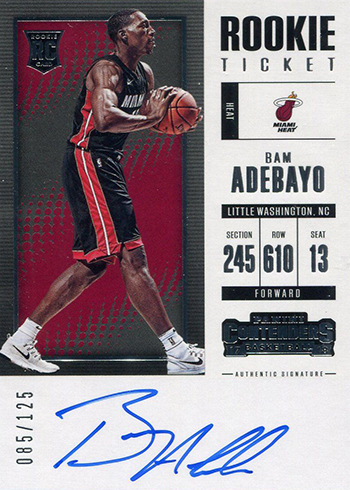 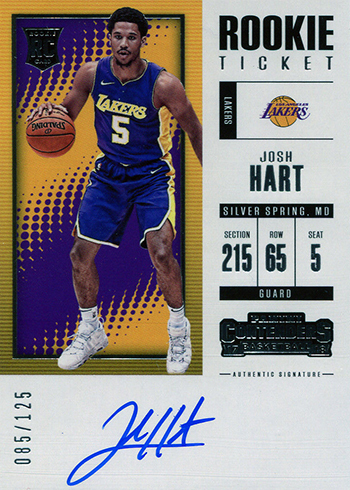 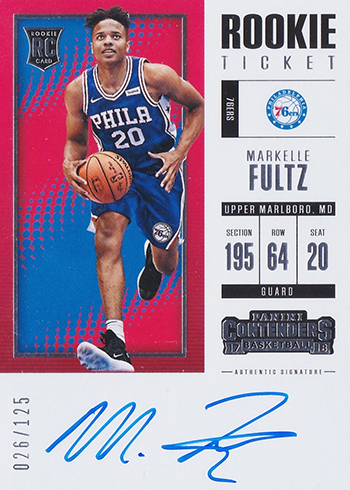 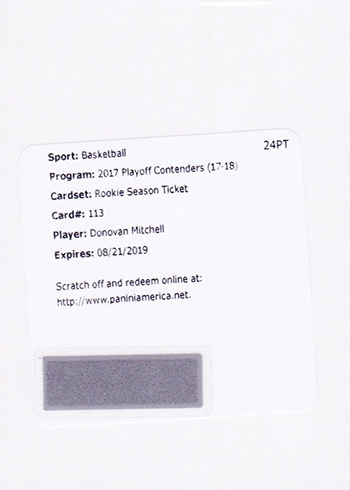 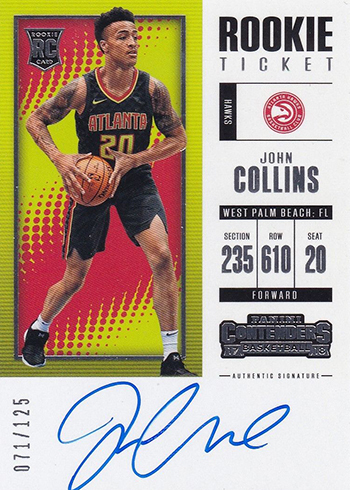 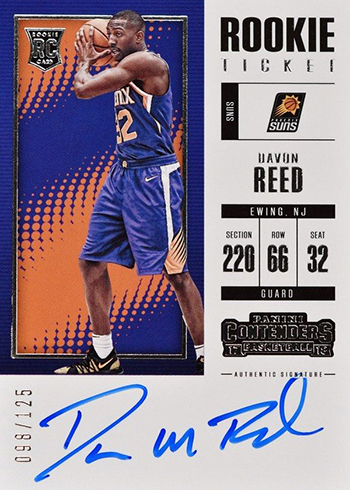 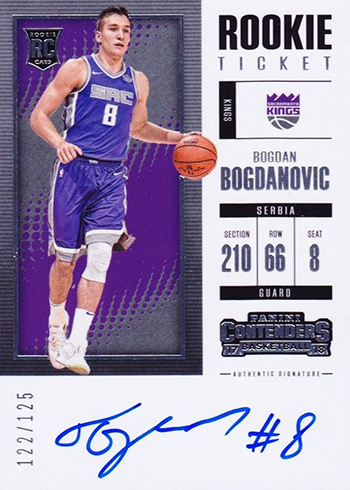 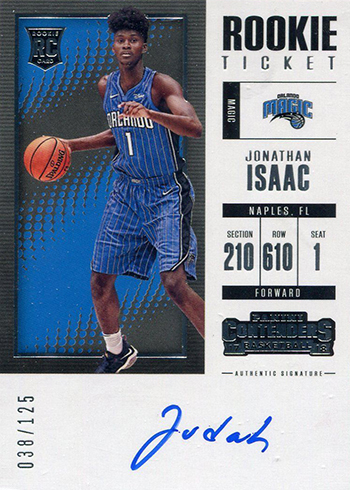 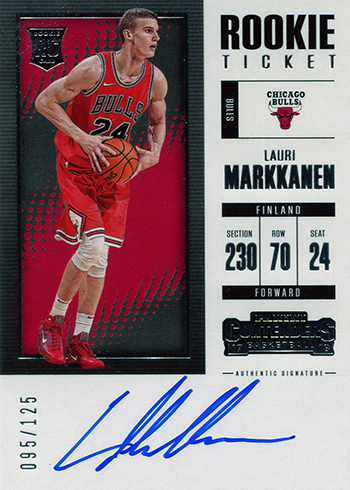 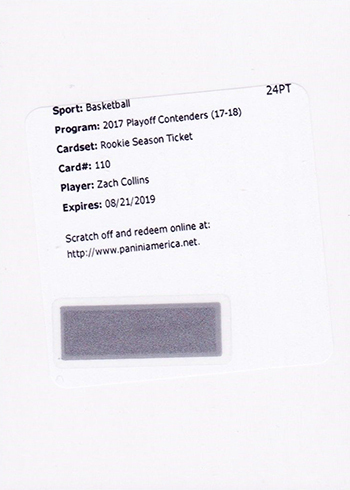 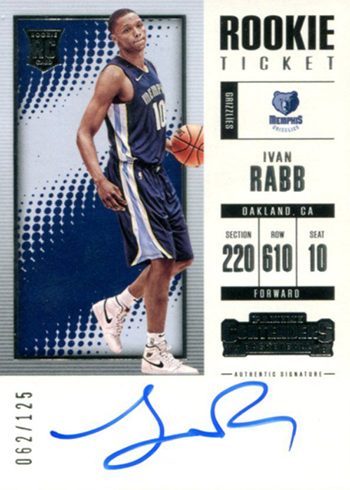 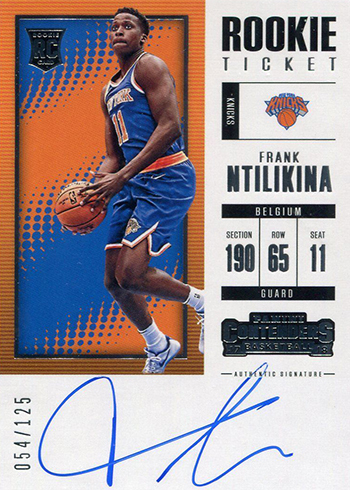 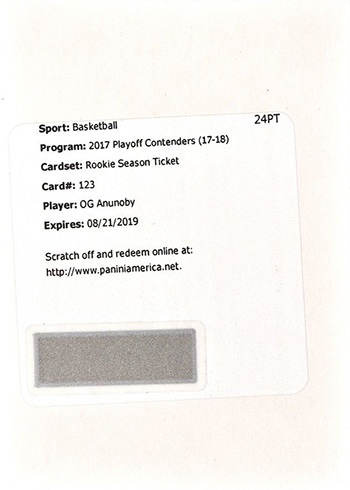 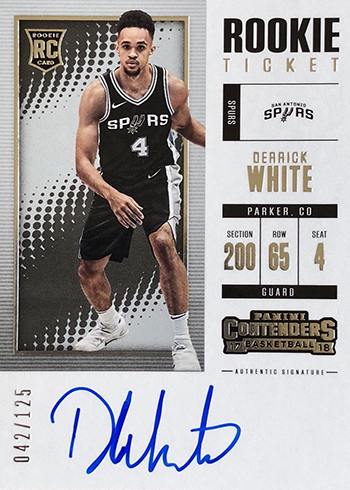 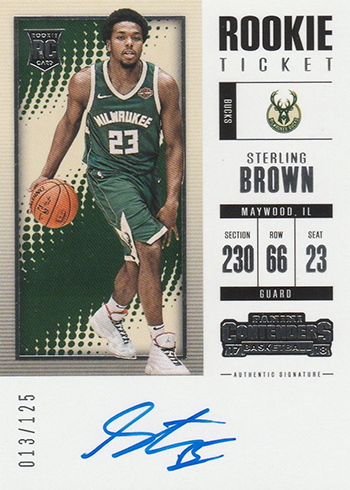 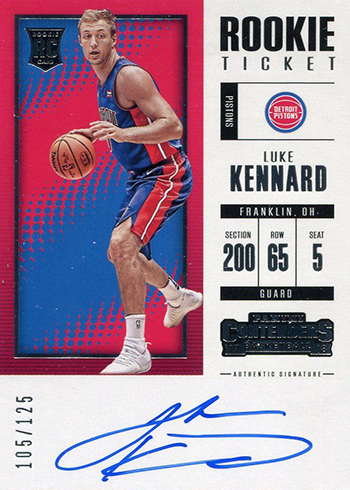 For 2017-18 Panini Contenders Basketball, all of the Rookie Ticket Autographs are numbered to 125. 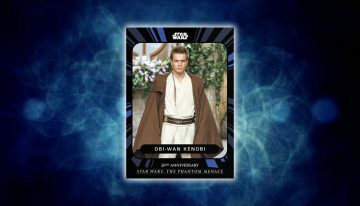 That means collectors know exactly how many were made. 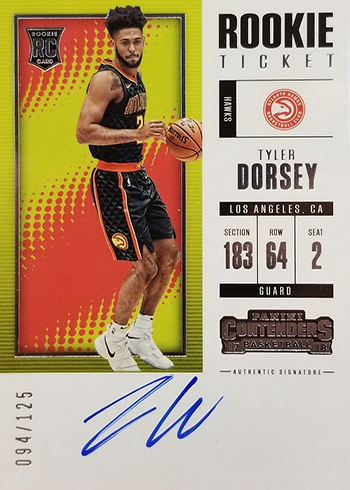 It also means no short prints. 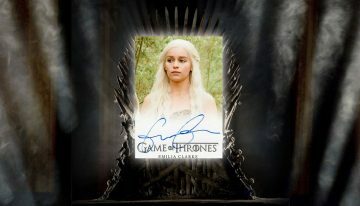 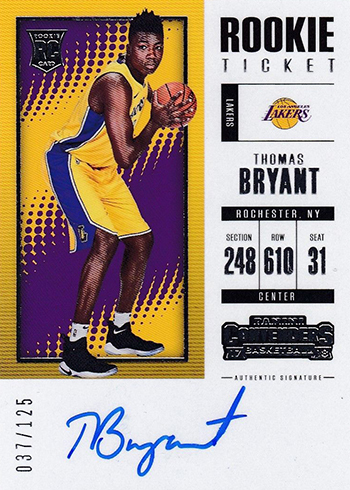 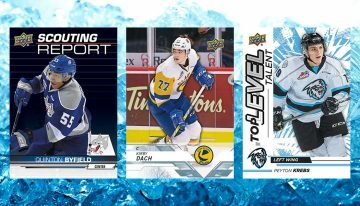 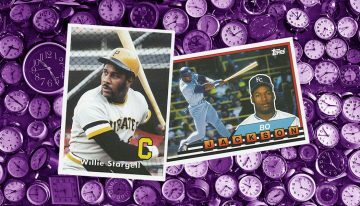 Every card also has a variation version numbered to 75. 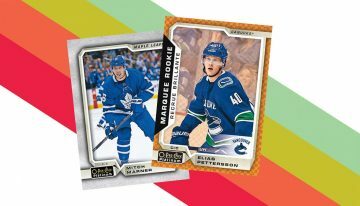 These have simply been flipped to a horizontal design. 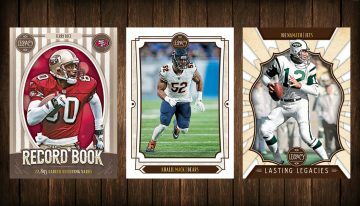 In 2017 Contenders Football, variations had their own section of the checklist with different numbers. 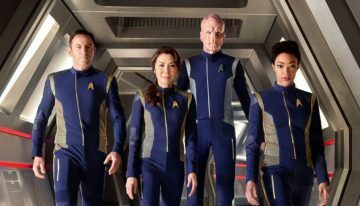 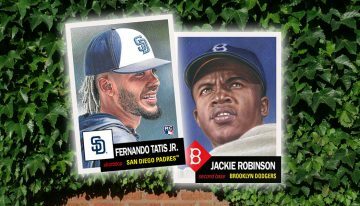 Here, both the base and variation versions share the same numbers. 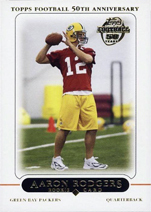 Standard for the line are several levels of parallels. 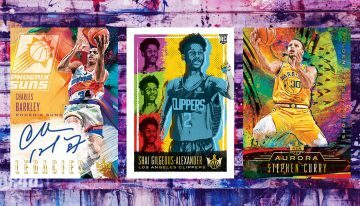 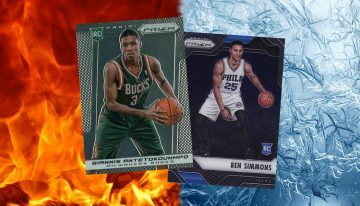 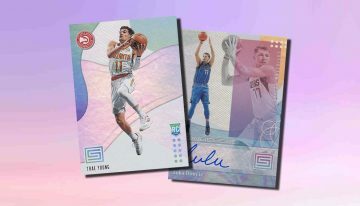 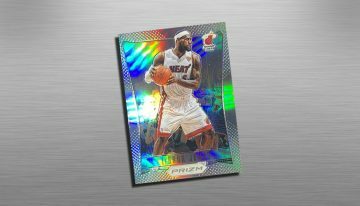 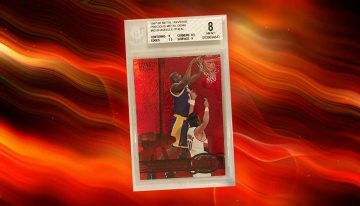 These are present in 2017-18 Contenders Basketball for both the regular Rookie Ticket Autographs and variations. 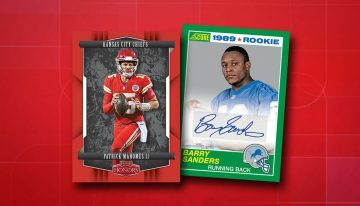 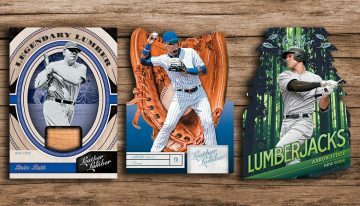 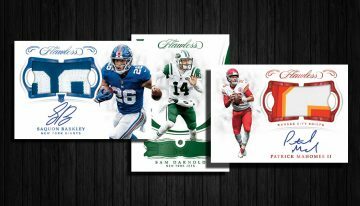 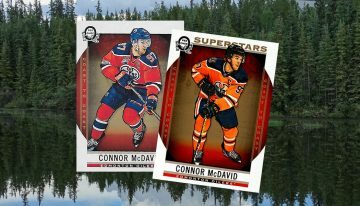 Among them are new Premium Version cards done on chromium stock similar to the standalone 2017 Panini Contenders Optic Football. 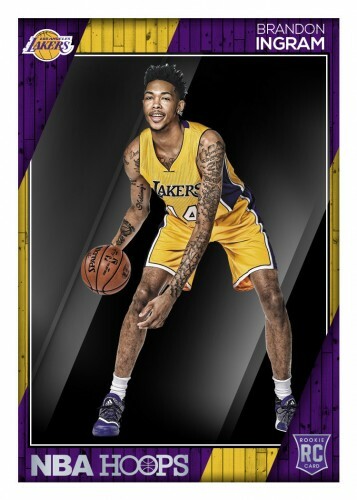 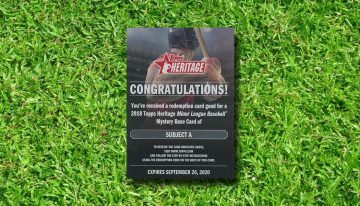 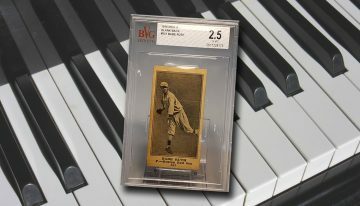 These have both regular and Gold (/10) versions for base cards and variations.